Have you ever lost the keys to your car? Have you accidentally locked your keys inside your home, office or vehicle? Then you should keep Martin Locksmith’s phone number handy at all times! 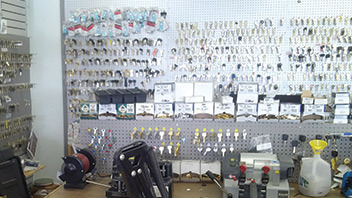 We are the largest dealer of safes and lock products in Arlington, and we specialize in automotive key and lock services and key replacement. We can save you money from dealer prices. We come to you! In addition to our computer chip key replacements, we have a fleet of fully stocked service vehicles that can come to you and crack any car lock or open any home safe with expert precision and speed. Call Martin Locksmith anytime you have a lock problem at 817-274-6583.